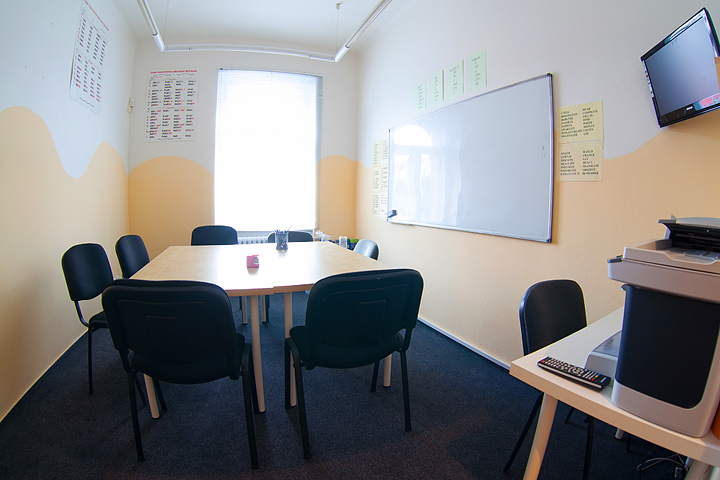 Czech Language Training is located directly opposite the tram stop Husinecká, one stop from Central Station. I´m standing at the door of the school on the 3rd floor. I ring the bell and a buzzer opens the door. Right behind the door, tree graffiti welcomes me - a signpost that directs me to the office and then into the classroom where I will take my lesson. 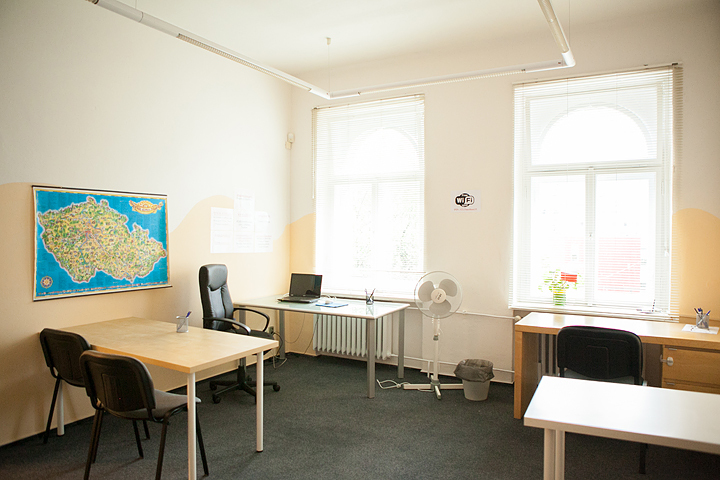 From the first moment CLT seems cosy and homely. 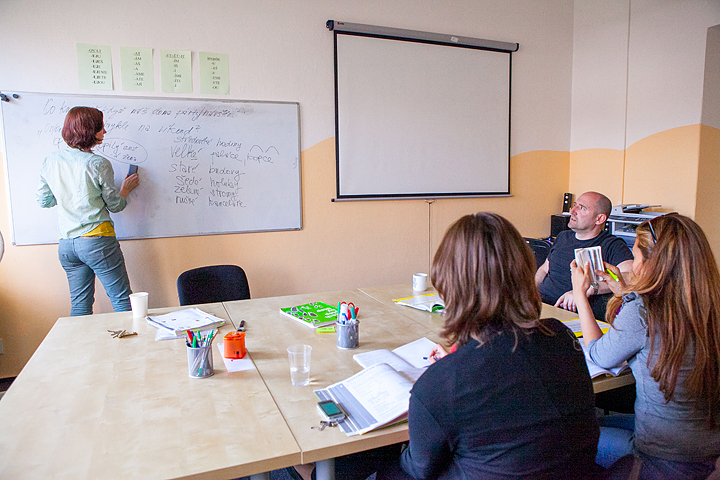 Labels with Czech names on various subjects, an aid to teaching vocabulary, give the impression of being in a student's home. 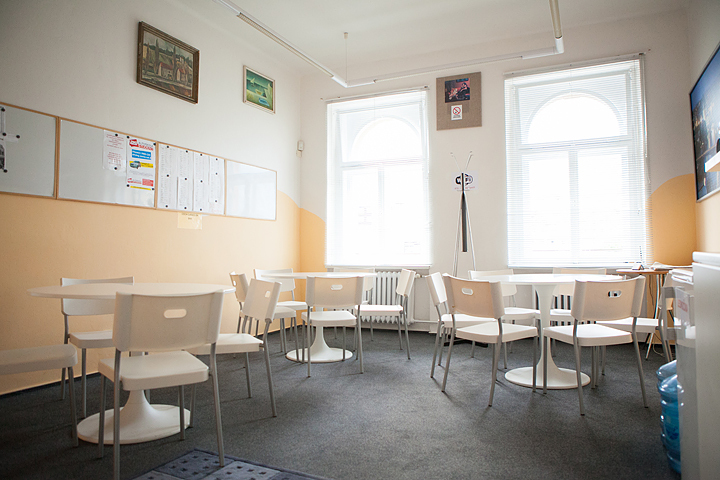 Several students are waiting for their Czech lessons in a "cafe", a common room for students. 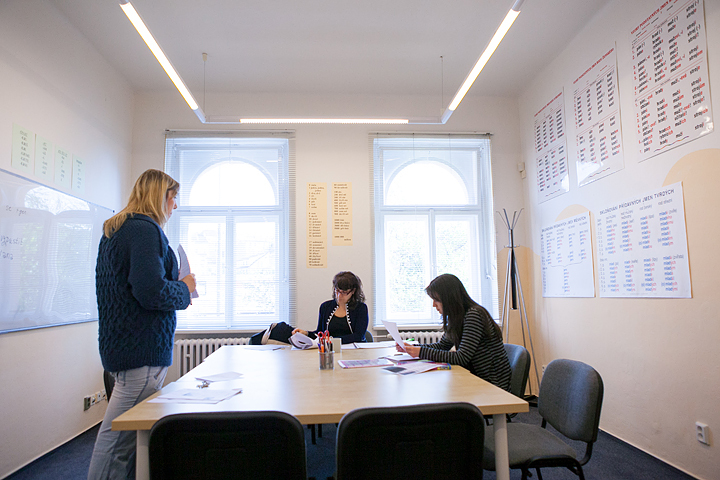 Some are engaged in a friendly conversation, in English, while some advanced students are already speaking in Czech; others are poring over textbooks, doing homework or revising. 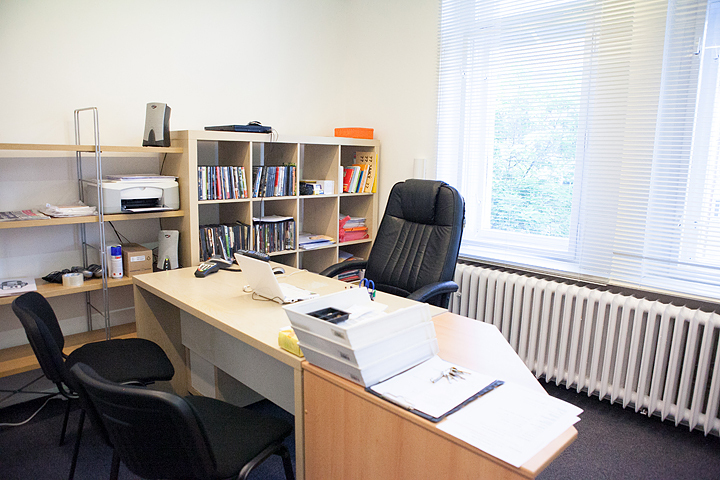 On the opposite side of CLT, one student sits at a computer, available to all students, in a small study, which particularly in the morning changes into a children's playroom, equipped with books for children, crayons and paper. A Wi-Fi connection is available in all parts of the school. The door of the classroom opens at 6:30 pm and students from previous lessons leave laughing. 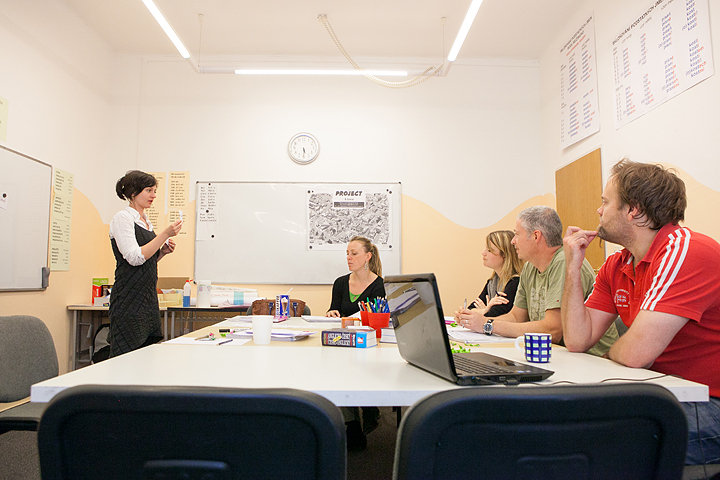 The classroom is full of teaching materials that students have created. 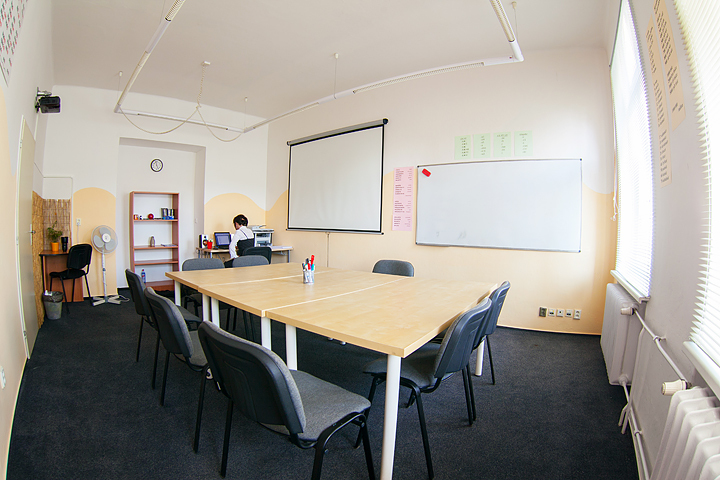 There are posters with recipes of national dishes on one side of the room and useful phrases for both beginners and advanced students on the other side. Dictionaries lie on the table and surprisingly so does a children’s building kit. This constitutes a "small town", which students build together while practising prepositions and cases. 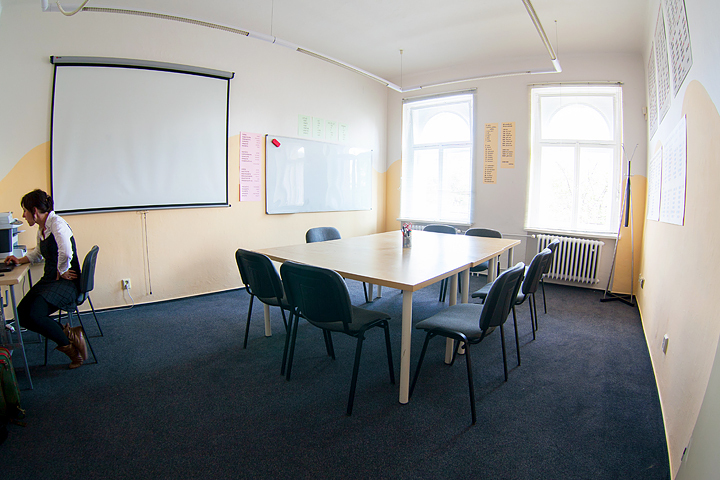 There are comfortable chairs for 7 students and a teacher in the classroom, because CLT guarantees a maximum class size of 7 students. I am surprised by the classroom equipment that my teacher has available for the lessons - a projector, a screen and a laptop - standard equipment in all CLT classrooms.